Kamen Rider: Climax Heroes W (仮面ライダー クライマックスヒーローズＷ（ダブル） Kamen Raidā Kuraimakkusu Hīrōzu Daburu) was announced in the October 8, 2009, issue of Weekly Famitsu for a December 3, 2009, release. 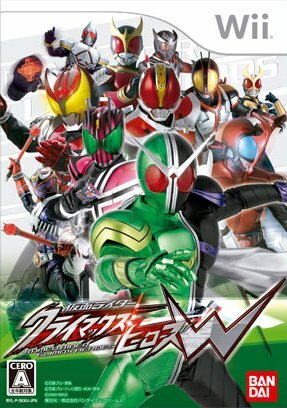 It features Kamen Rider Double from Kamen Rider W, which premiered after the release of the original Climax Heroes, as a playable character, as well as various kaijin such as Worms and Dopants. Although a reading for the letter "W" in the title is not given, it refers both to the new series W and the Wii platform for the game. The graph below charts the compatibility with Kamen Rider: Climax Heroes W since Dolphin's 2.0 release, listing revisions only where a compatibility change occurred. This page was last edited on 14 January 2018, at 11:42.